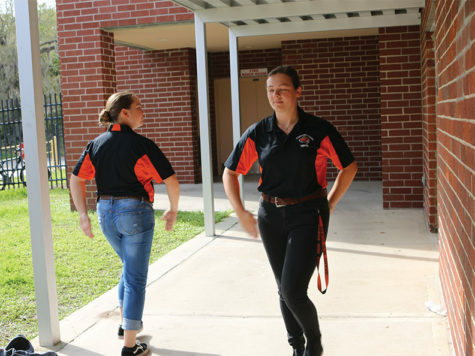 The senior project is something every student at Oviedo High School hears about their freshman year. It’s a massive project that takes all of senior year and is a major part of the grade in the honors English IV course. However, some seniors choose to take courses that exempt them from the senior project altogether. There are different ways that a senior can avoid the project. The first way a student can be exempt from the senior project is to take AP Language and Composition (AP Lang). Students who take AP Lang their junior year can then take AP Literature (AP Lit) their senior year. Over recent years, more and more seniors are taking these AP courses to avoid the dreaded senior project, and teachers have noticed. This year, one of Hron’s AP Lang classes started with 34 students. According to Hron, some students take AP English to avoid the senior project but end up failing the course and having to drop to honors. This means they must complete the senior project in a shorter period of time than they would have if they had been in honors at the beginning of the year. According to English IV team leader Kim Finnegan, the shift has to do with students’ perceptions. Because AP is harder, the English IV team believes students are setting themselves up for a harder course load. Teachers realize that the senior project is not something to be taken lightly and that, for some students, it is better for them to take a different than honors or AP. There also are the seniors that want to take the easiest classes to just cruise through their last year and avoid the senior project. 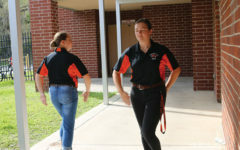 Some students take standard English IV, while others choose to dual enroll in an English course at Seminole State College or take an English course online. Finnegan said that the teachers have seen a lot of kids go to standard English that have always been in honors. This year they are in standard just to avoid the project.